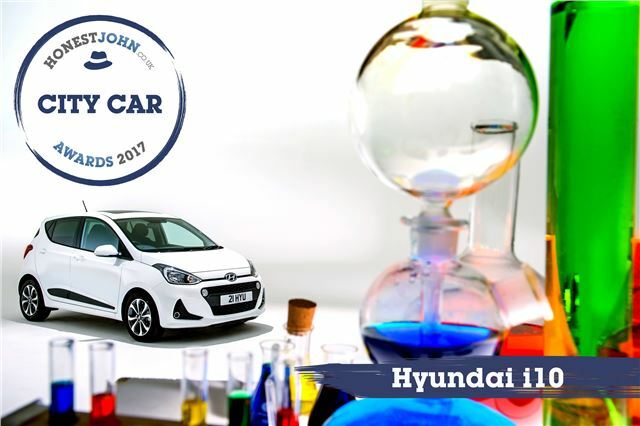 The Honest John Awards are back to celebrate the cars that have been the most popular with the readers of HonestJohn.co.uk, over the past 12 months. Split across 17 categories, the Honest John Awards 2017 are largely based on the cars that have generated the most interest and page views with our two million monthly readers. There are also special categories for the car with the best Real MPG score and the car that has gained the highest ratings in Owners’ Reviews. Over the past 12 months, the i10 has scored more pageviews than any other city car, giving the Hyundai an incredible fourth successive Honest John Award. In our opinion, no small car is more deserving of this high praise than the excellent i10. It would be interesting to know the 'breakdown' of the page views scores, especially the number of views of the 'Good & Bad' sections of the reviews. I'm personally unconvinced that page view = popular and good car, given the amount of negative reviews and problems associated with VAG diesel cars and the Golf in particular. Interesting that the UK car buying public doesn't seem to agree. Only the Fiesta (largest sales) and the Golf (at no 4) rate in the 2016 top ten best sellers in the UK. Please , please just give us the option of a list of winners instead of having to perpetualy click on the next item and wait for the next page to draw with all of the adverts, so annoying. all the adverts? I dont have that problem, simply google for a free download that stops adverts! easy peasy! Does anyone who buys anything from either the vag or jlr manufacturers read anything about the major problems they have with powertrain (vag) or basic design engineering (jlr) or do they not really care as most are bought on pcp these days? Why are the residual values so good on vehicles that are almost guaranteed to cost considerable amounts once out of warranty?